During 1896, the Pullman Car Company was assembling its cars (carriages) in Brighton Works from parts sent from America. It had moved to Brighton from Derby after its contract to build cars for the Midland Railway expired in 1881. In later years contractors undertook the construction of Pullman stock, but the Pullman Company continued to maintain all its own stock itself. Only 4 Pullman coaches were built at the Brighton base. A building on the up line (built in 1898), that had been used by the LBSCR for loco maintenance was vacated in 1928 and Pullman transferred its operations to the site. 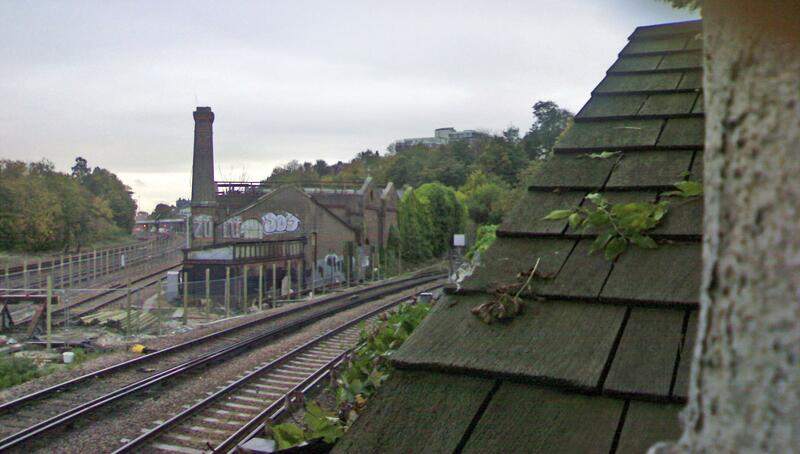 This building is (for the moment, at least) situated within the triangle of the Prestonville curve and the line to Hove, adjacent to Highcroft Villas and just north of the Lovers Walk Depot. These works were unfortunately closed down in the Beeching cuts during 1962-3 and Pullman maintenance work was transferred to other railway works. At the time of closure in 1962, the Pullman Company and its workshops, offices & facilities were absorbed by the British Railway Board. There was a lot of bitterness on the part of the workforce when the Pullman Works closed, as all the signs pointed to the entire operation being expanded & the operation was in a sound financial position. However, rationalisation was well underway at this stage of proceedings so when the site was taken under British Rail’s wing, most workers were transferred to British Railways Employment. “It would have been most suprising, in the light of the railway workshops plan as a whole, if the decision had been to retain Preston Park (Pullman) Works whilst closing such places as Lancing Carriage Works, a large part of Swindon, Darlington, and many other large relatively efficient works, which were well equipped to perform similar work. Although Preston Park has been used for the maintenance of Pullman cars, including some of the newer vehicles of steel and plastic construction, there are many Pullman cars in use, which have never been repaired at Brighton. Arrangements had been made for them to be repaired elsewhere. The closure of the Preston Park Works, therefore, is but an extension, albeit to the ultimate conclusion, of a policy which has been adopted by the Pullman Car Company in the past”. The National Union of Vehicle Builders, both at regional and local level, put up an energetic fight, even writing to the then Prime Minister (Harold Wilson). They did gain a grudging admission from B.R. that they were not fully aware of what Preston Park Works did, but sadly this had no effect in halting the closure. The doors finally closed for good in November 1963 with the sad loss of 100 jobs and countless irreplaceable skills. 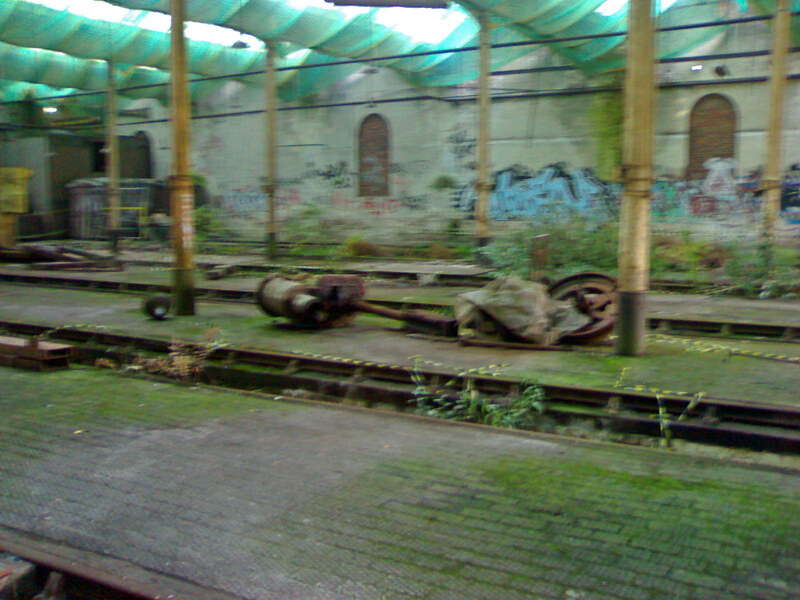 The vacant building was used for some time to store preserved steam locos, which were put on display from time to time for railway open days at Brighton Station. 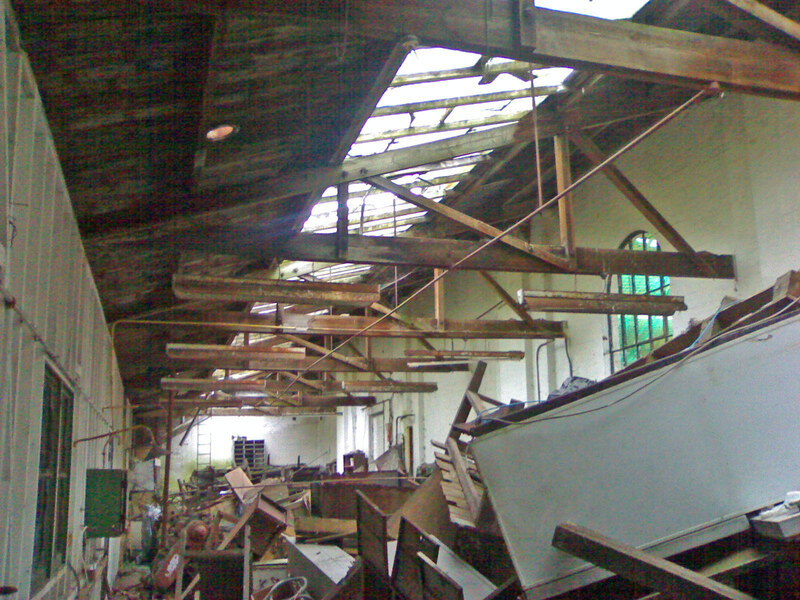 The Pullman sheds continued to house items of unknown railway memorabilia up until 7th September 2008, and there were plans in the 1980’s and 1990’s to open the building as a steam museum. 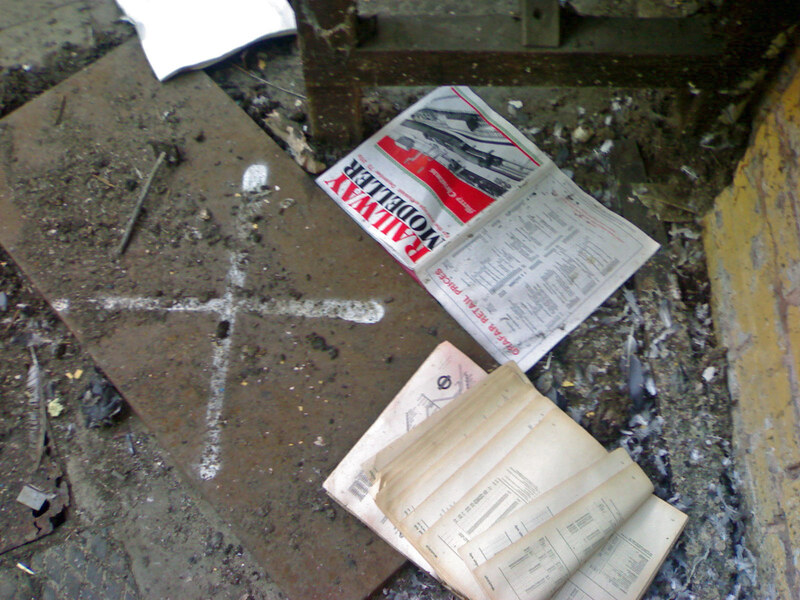 These plans were sadly thwarted in 2003, when vandals repeatedly broke into the site, grafittied the contents and eventually set fire to the building, destroying the northern end. Another major factor that would always count against the building being a suitable host as a museum is the fact that its only major access is by rail or a small and windy path leading up to Highcroft Villas. There is no road access to the site at all. 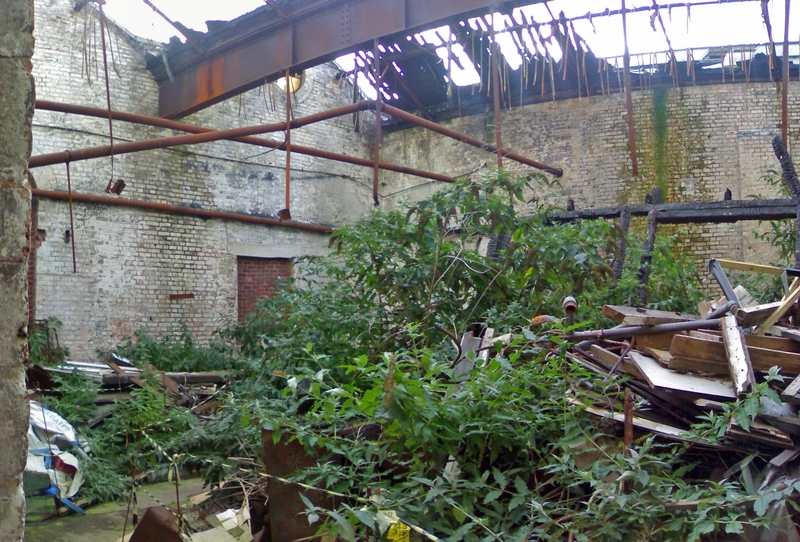 It is perhaps ironic that this factor also posed massive logistical problems during demolition as the site is immediately adjacent to the main London to Brighton site and all spoil from the demolition would have to leave the site by rail. 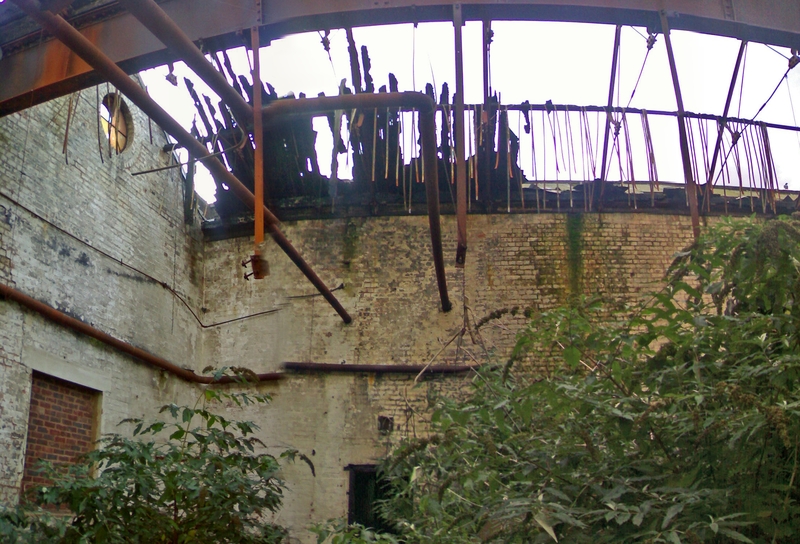 Despite the ravages of modern day neglect, the site remained intact for the most part and relatively unchanged up until around 40 years after closure. 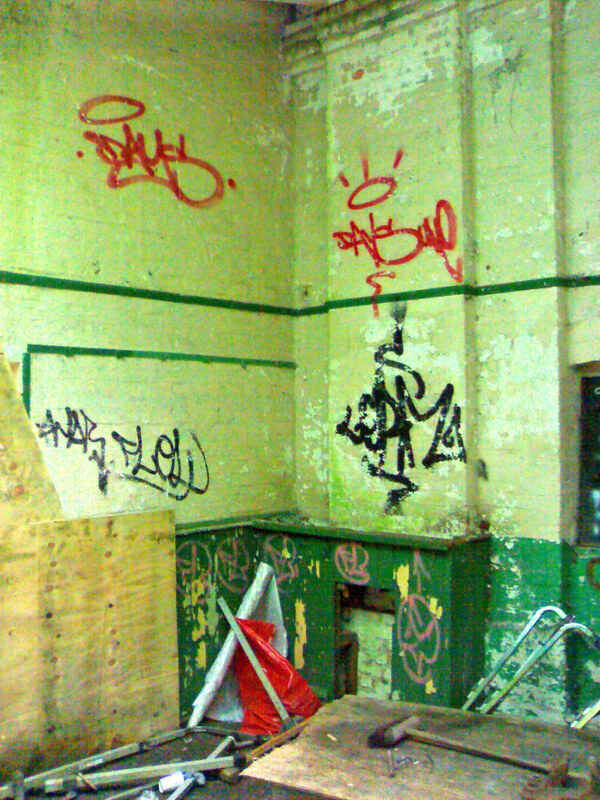 Whilst there was no activity within save for that of graffiti artists, taggers and pidgeons, the sidings around the building are host to constant shunting activity at Lover’s Walk and the modern day MPD shed, frequently lined with modern electric stock. 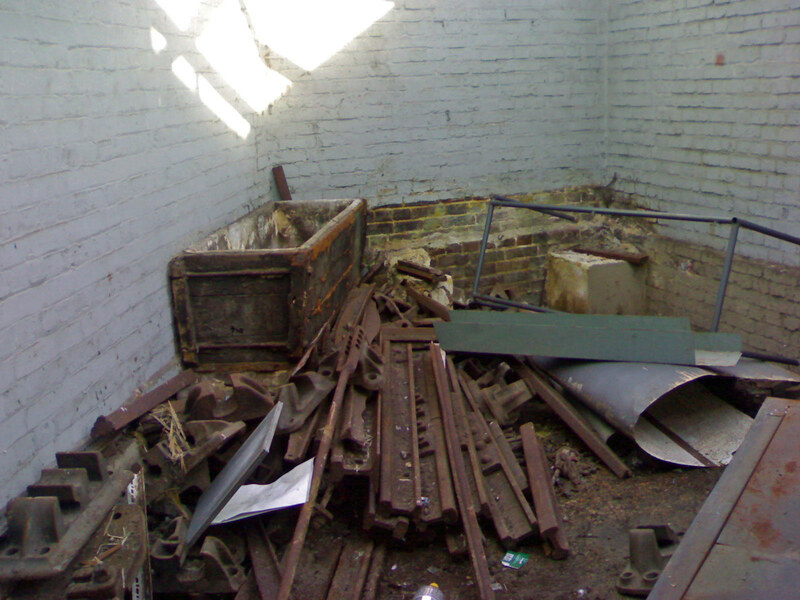 In September of 2008, it was decided to demolish the Pullman building and on Sunday 7th, an intricate plan was commenced in order to remove the unknown items of stock from within its murky depths. As has already been stated, the Pullman Works was used for many years as a store for some remarkably historic rolling stock from the end of the steam era, many of which were there pending eventual transfer to the National Railway Museum in York. There was also a good deal of other strange, unusual and less well known stock also stored there and as a result, there were some real surprises when these were bought out into the daylight. 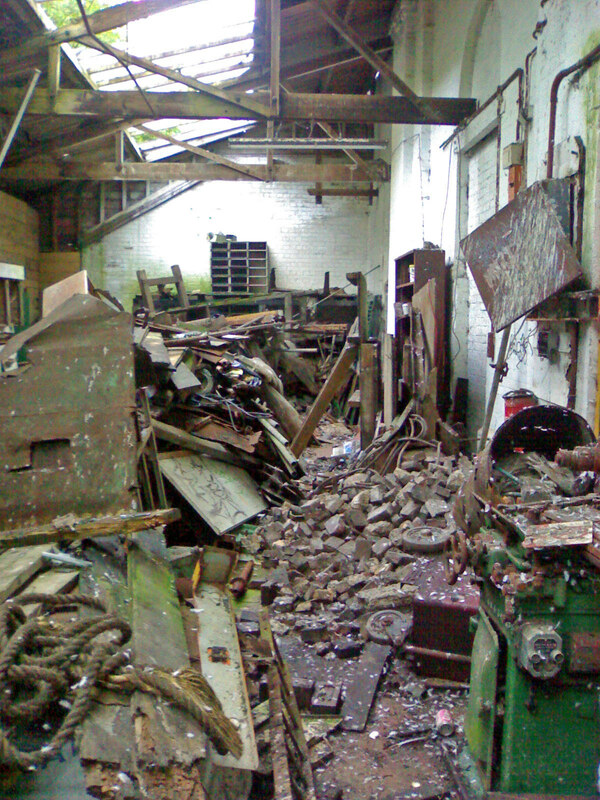 Jerry Swift, who is Network Rail's head of Corporate Responsibility, spent a considerable amount of time and effort prior to demolition liaising with the National Railway Museum and sifting through archives in order to try and ascertain ownership of some of the items of stock, some of which has been recognised by the NRM as being of important historical significance. Due to the lack of road access to the site, the nearest loading point is the Lovers Walk depot. This meant that anything that came out of the Pullman Works had to be shunted into Brighton Station and then across the main lines to the Eastern side of the tracks, thence into Lovers Walk. 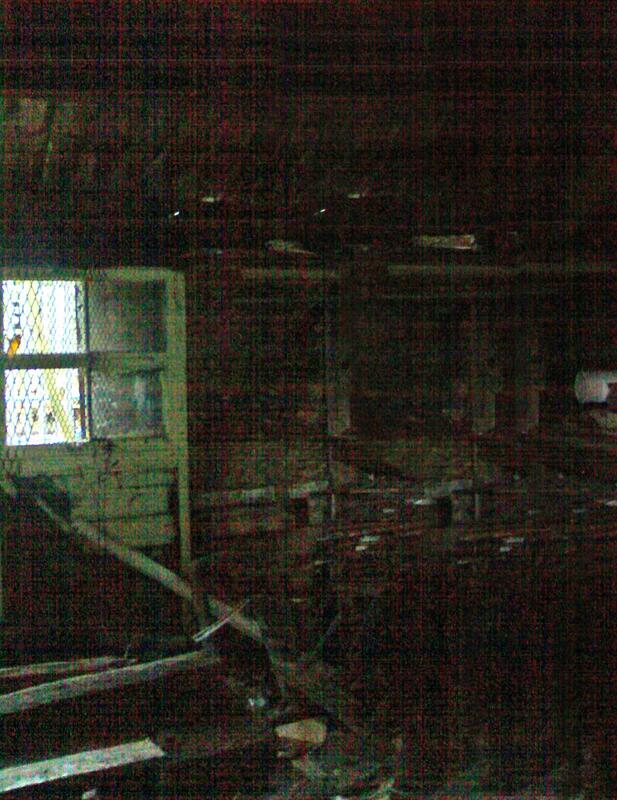 Another problem was that the stability of the trackwork in the Pullman Running Shed could not be verified after 40 years of neglect. They would almost certainly not support the weight of the class 73 diesel which was used to move the items of stock about. 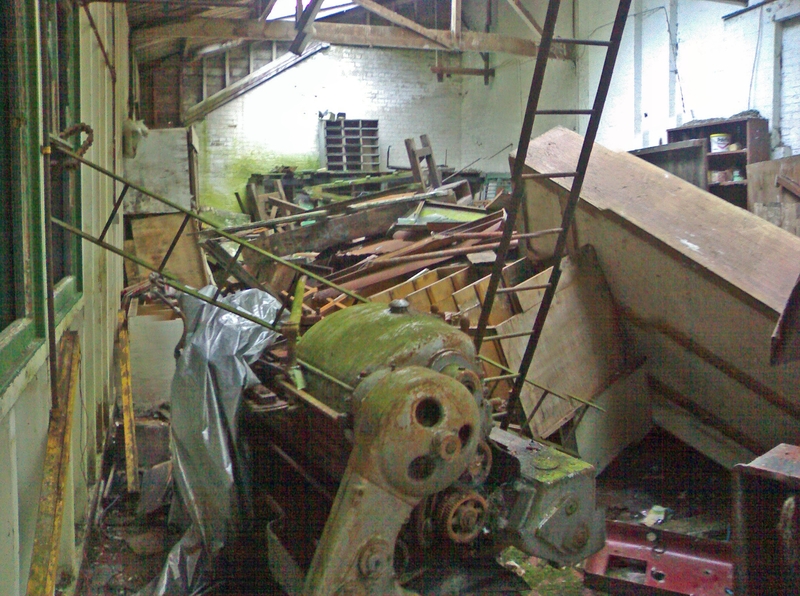 The same level of neglect also meant that several items of the stock had to have work carried out on their axles before they could be safely removed. Among the items removed were two Ruston and Hornsby diesel shunters, a class 08 diesel shunter No. D3255, a Southern Railways NPCCS 'bogey B' goods van, an array of pre grouping wagons and a 12 wheeled 'well' wagon No. 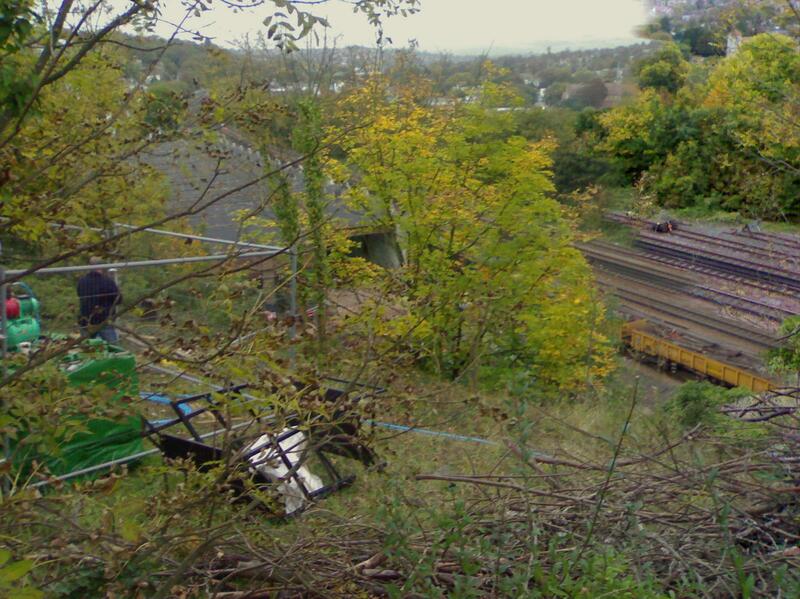 DB901203 carrying the remains of an LBSCR brake van, a GWR 'siphon G' van and a 24-and-a-half tonne coal wagon. The top attraction of the day, however, was the body of the apparently long lost Pullman sleeper car 'Balmoral', which will almost definitely be restored. This coach was built 126 years ago (1882) in Detroit and shipped to Derby, UK for assembly. 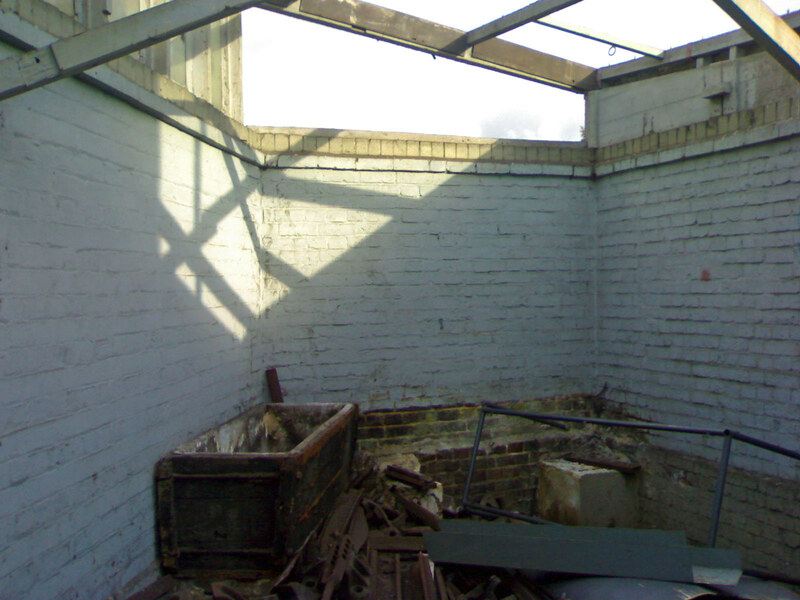 It will need a lot of restoration work as there is a large section missing from one side. Internally there is still a mass of extraordinarily ornate paintwork which pre-dates the familiar Pullman livery that most rail enthusiasts will recognise as the norm. Balmoral was decomissioned in 1907 and was sold as a grounded body (ie: no wheels or bogies). It is not known how it came to arrive at the Pullman Works, but it is highly possible it has lain there undiscovered ever since, furthermore that September 7th was the first time it had seen a platform in nigh on 100 years! Thanks to this £110,000 removal exercise, 11 items of historic rolling stock will be rehoused at Swanage, Colne Valley and Bluebell Railways rather than being scrapped, or worse still, put to the torch on site. No-one will ever see what we have photographed inside The Works ever again. 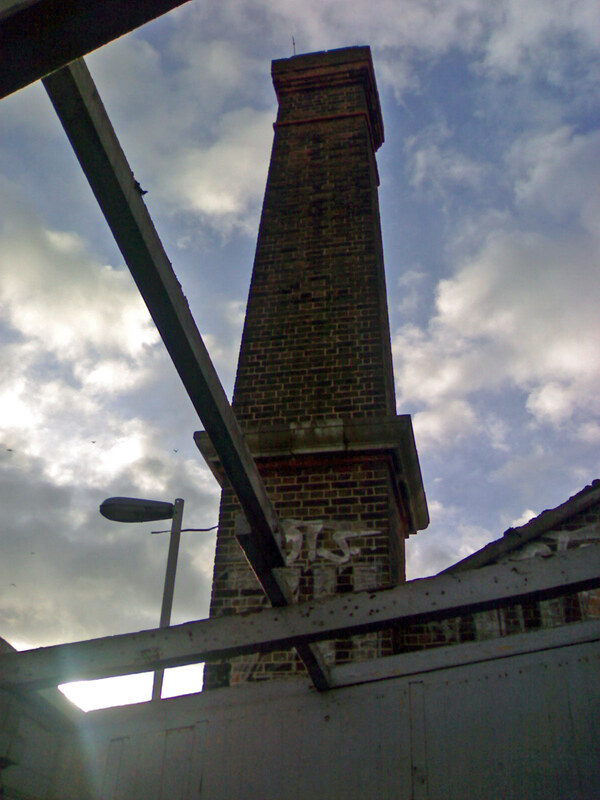 And so, in all its glory, is the Pullman Works, photographed on the morning of Sunday 19th October 2008. I dedicate this section of the website to all the people who urged, cajoled and assisted me in my quest to gain these pictures. It was a foregone conclusion that it would happen, but their dedication and unerring enthusiasm was an incredible help. My thanks especially to "Agent Sansom" for his companionship on the quest. This is a distant shot of the Pullman Works, taken from the railway bridge at the junction of Dyke Road Drive, Stanford Road and Highcroft Villas. The South-Eastern corner of the building has come down, seen just behind the passing train. This photo shows the Pullman Works as seen from Millers Road, looking due South-East. 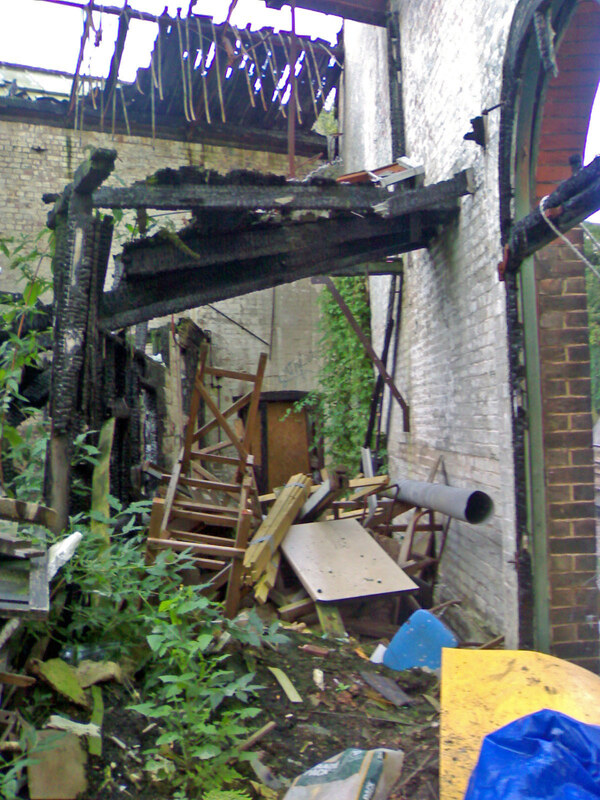 The burnt out section of the building is clearly visible next to the chimney, where the roof members are exposed. This photo shows a distant shot of the Pullman Works taken from just opposite the Stanford Junior School in Highcroft Villas. The cabins and generators etc. 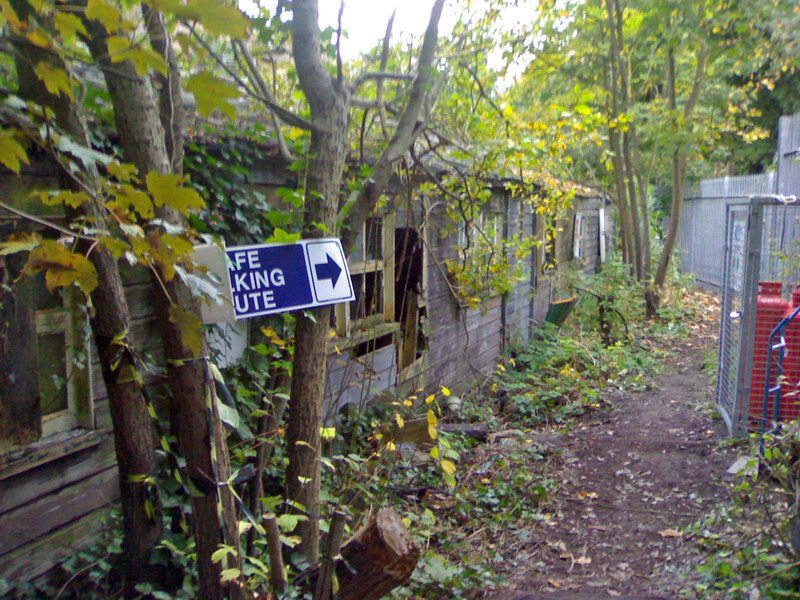 are all associated with the demolition and just go to prove how inaccessible the site is except by rail, that they have to be placed on allotments, some distance up a cliff from the site! This is the only real way to get onto the site other than by rail! This gateway is on Highcroft Villas, on the curve at the top of the road and not far from the junction with Dyke Road. It is on the side of the road that looks out across Preston Park. It must have been a lovely walk into work for the craftsmen that worked in the Pullman Works. The warning notice gives some indication as to the state of the site! This bit was quite interesting. If a potential miscreant wished to gain access to the site, they would have to hang off the fence and swing themselves around the end of it. Note the 30 foot drop under the end of the fence. The Crystal Maze had nothing on this... Getting closer though! 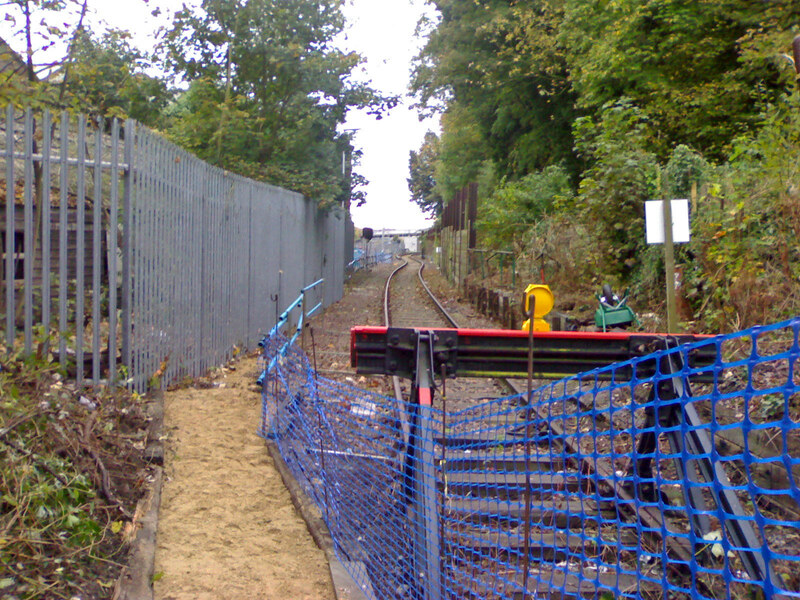 The red buffers in the foreground are a reminder of how close this site is to the railway. whilst no longer in use, the track from these buffers goes all the way back out onto the main London to Brighton Main line. 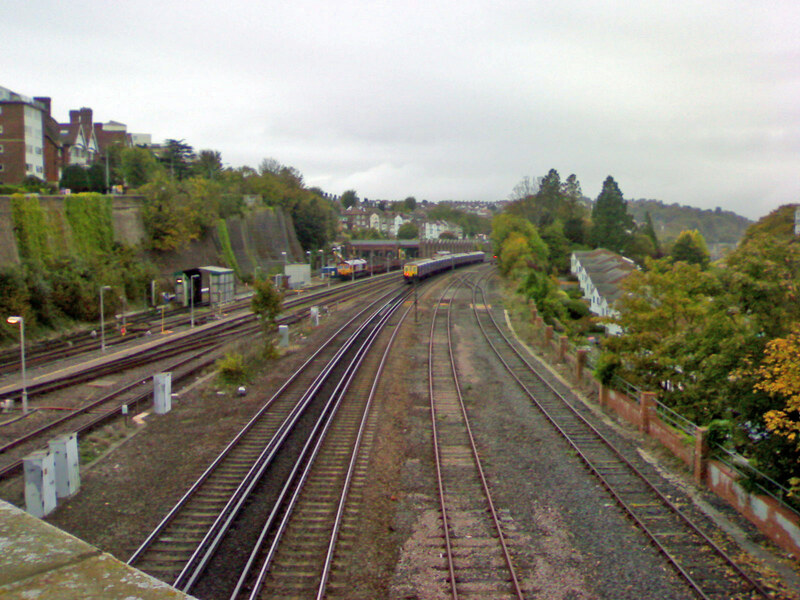 This photo shows the view looking back towards Brighton Station and the Train Sheds at the foot of Stanford Road. The little sand path is a recent addition to allow the demolition people easy access to the site. This is on the western side of the building. 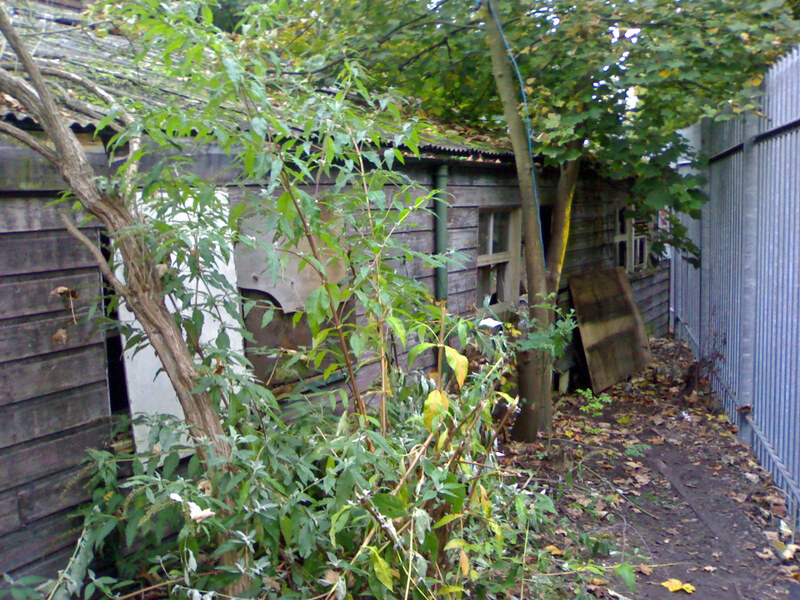 Note that part of the Wood Store can be seen to the left of the photo. 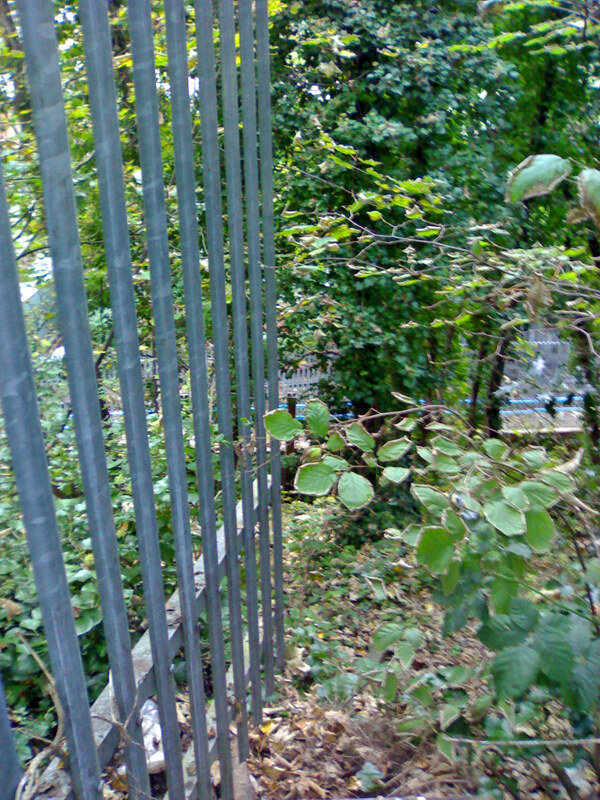 A potential trespasser would need to get to the end of the spikey fence and squeeze through a gap between fence and wall of the building to get in, which is in full view of any passing trains! Once round the spikey fence, doubling back allows access to the rear of the building via the Wood Store. This photo shows the exterior of the Wood Store looking roughly South-East. 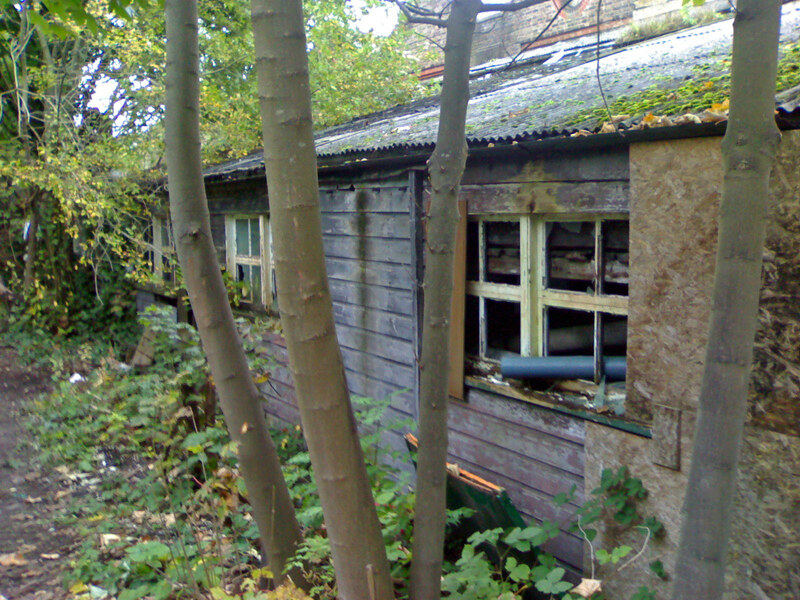 This photo shows the Wood Store again, this time the Northern end of it, looking roughly North-East. 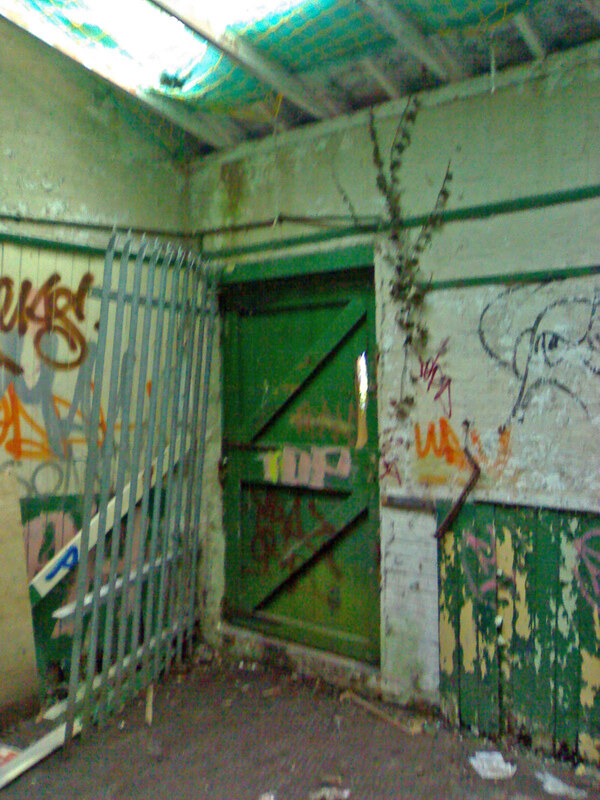 This little door is the main entrance to the Pullman Works for pedestrians. It is situated on the wall just to the north of the Wood Store. 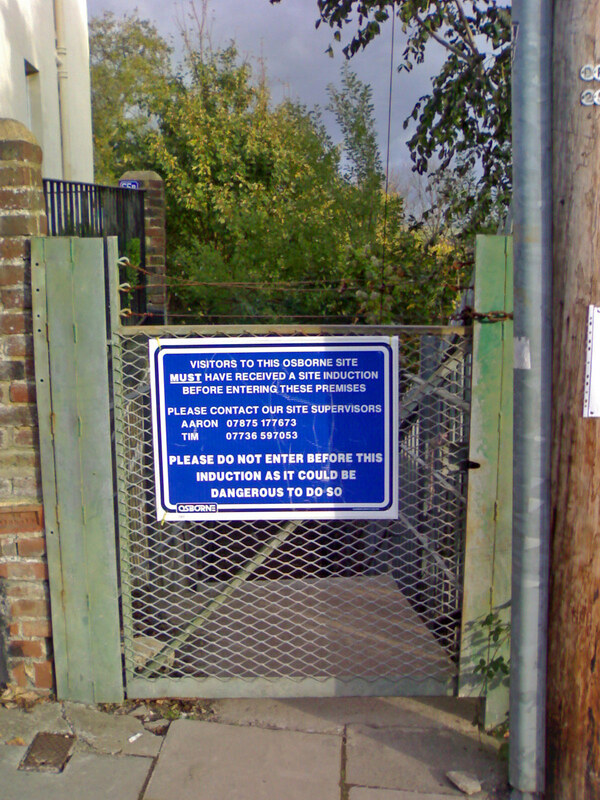 Whilst the sign on the door doesn't look promising, it was possible to gain access through the Machine Shop and get round the opposite side of this door to the goodies beyond. 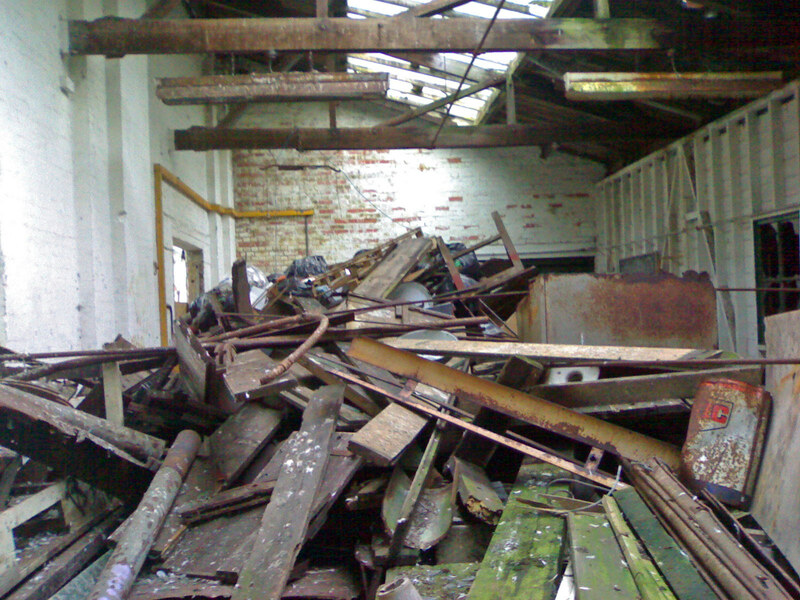 This view shows the interior of the Wood Store looking North. It goes back quite a long way, but light levels were very low about 8 foot in and unfortunately produced some poor images. The following 2 photos were taken using "night vision", so my apologies for the grainy images. 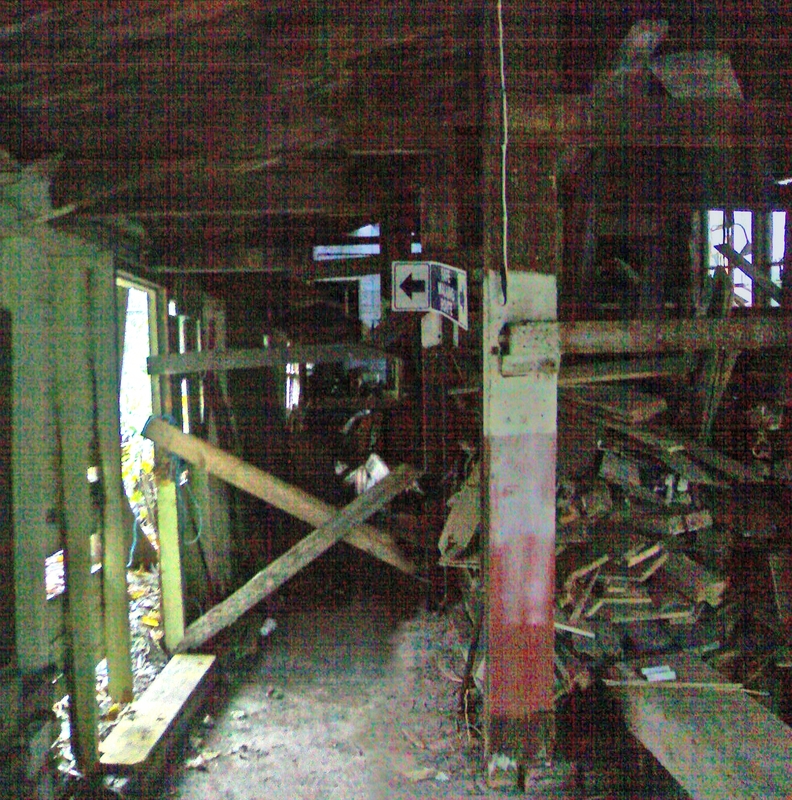 Thankfully, there were adjoining windows between the Machine Shop and the Wood Store, allowing to take some photos part way down the Wood Store. The graininess of the images is caused by "night vision" to try and combat the effects of low light. 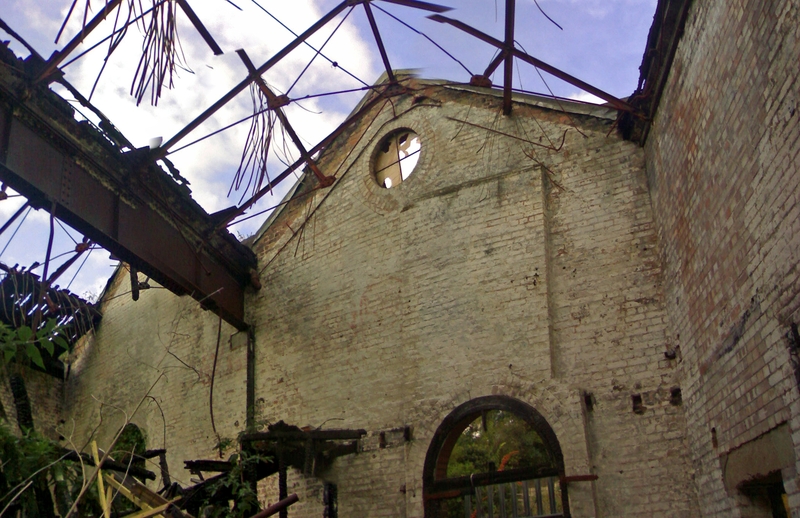 Note that there is a great deal of metal around the site and it is unclear whether this was as a result of demolition or necessity during the Work's operational strata. Again, another "night vision" shot, this time 2 thirds of the way down the Wood Store. This notice board was a historical artifact in itself! This is immediately to the left of the doorway into the Machine Shop. 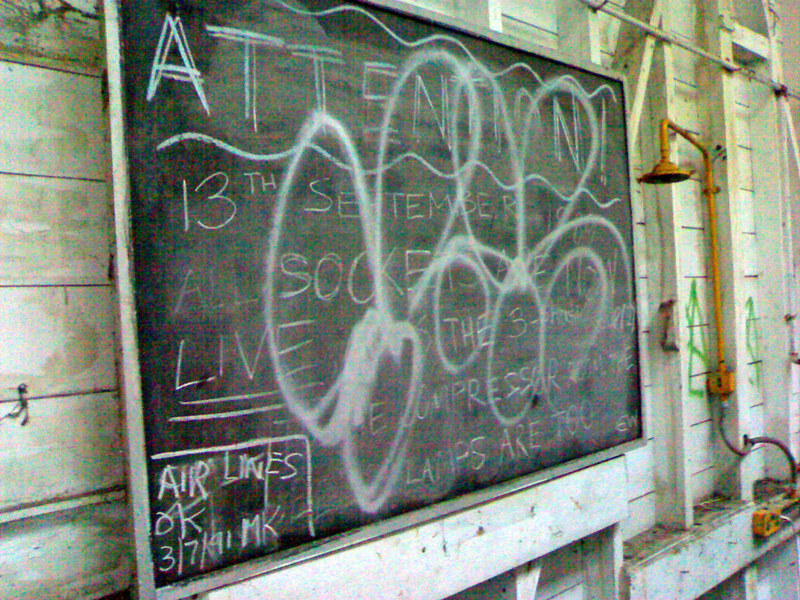 It reads "ATTENTION! 13th September 1989 all sockets are now live as is the 3 phase supply to the compressor room. The lamps are too. EW. Air lines ok 03/07/91 MK." This begs the question of what the building was being used for around 1989 and 1991. 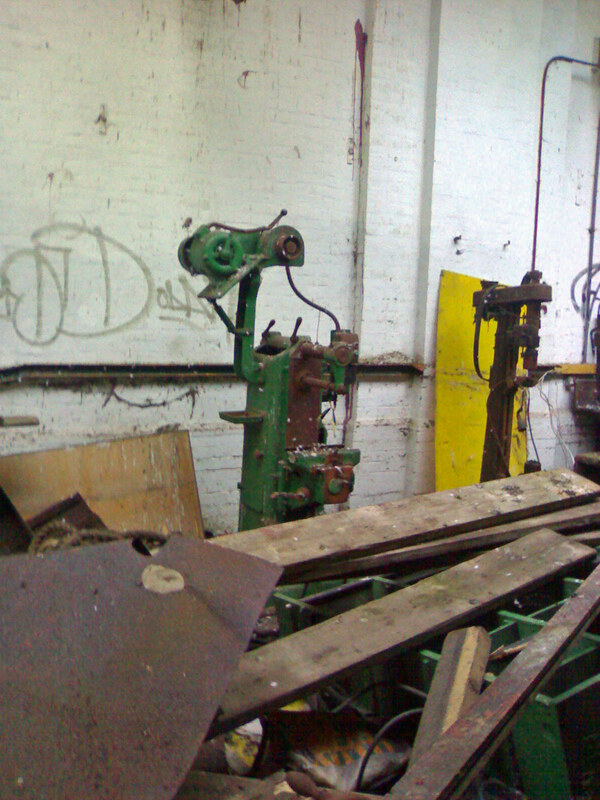 Another long shot of the Machine Shop, taken from the Southern end looking due North. 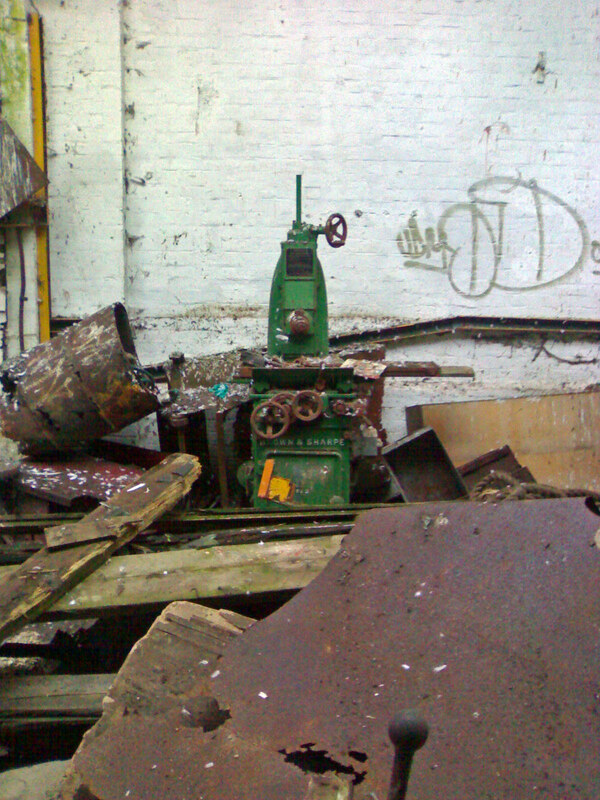 Like some weird, metalwork monster, this Colchester lathe looms out of the surrounding debris. As far as I could tell, this is one of three, the others buried more in the centre of the room. The amount of wooden staging and ladders indicate that maybe there was another mezzanine floor used for storage, but I haven't been able to verify this with plans of the building. 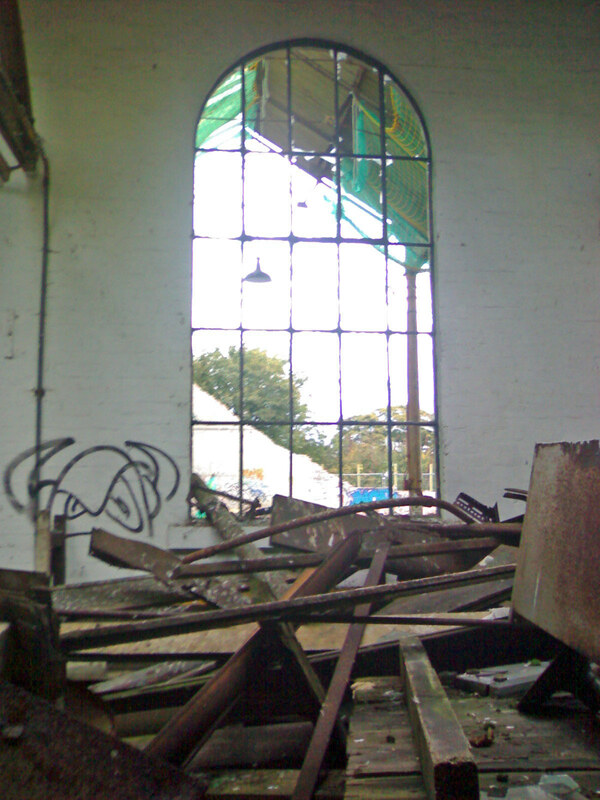 This photo shows a view across the Machine Shop looking towards Preston Park, throught one of the fantastic arched windows. 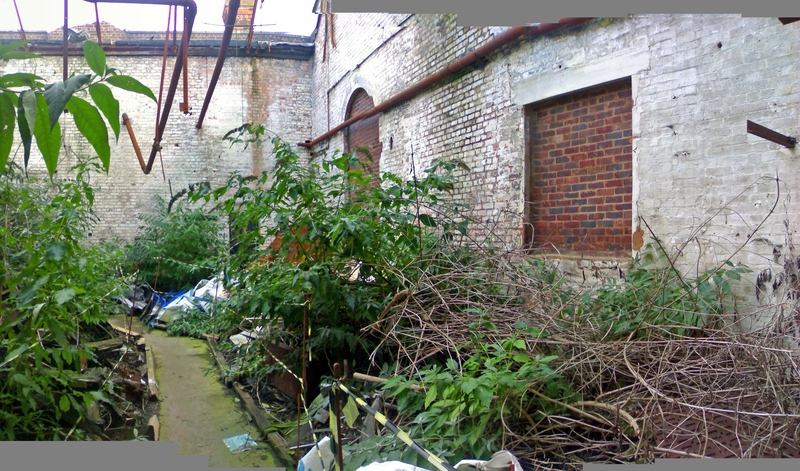 The diagonal edge of the opposite wall shows the extent of which the Train Shed has been knocked back to at this time. 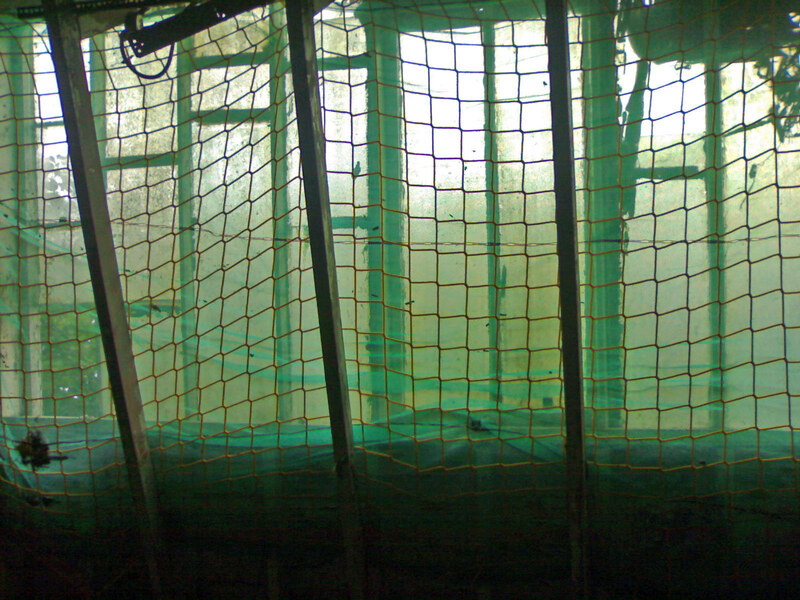 Note the green netting under the roof. One of the more accessible machine tools was this bench grinder, built by Brown & Sharp. I have no idea what this machine was. 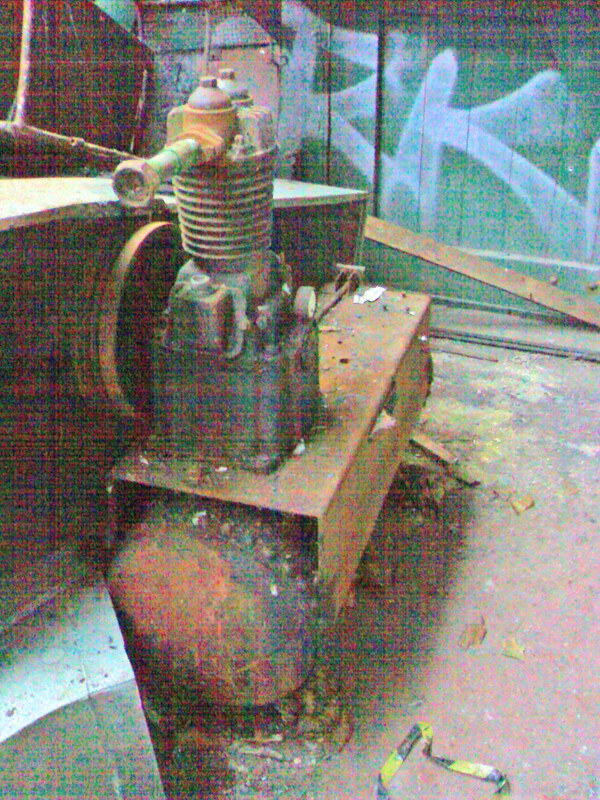 I think it is possibly another grinder or milling machine, but there is no flatbed so this makes it hard to determine. It could be a friend of Sarah Connor or Number Johnny5...! I originally thought that this little engine was steam stock, but more likely part of a compressor. Note the Radio at the bottom of the picture. This interestimg little plate would have been affixed to the front cover of a Ward lathe or milling machine and shows feed rates in conjunction with spindle speeds (ie: how fast the lathe turns and the appropriate depth of cutting for that speed). Another view of the Machine Shop, this time from the Eastern side, looking due North. Another shot of the Northern end of the Machine Shop. 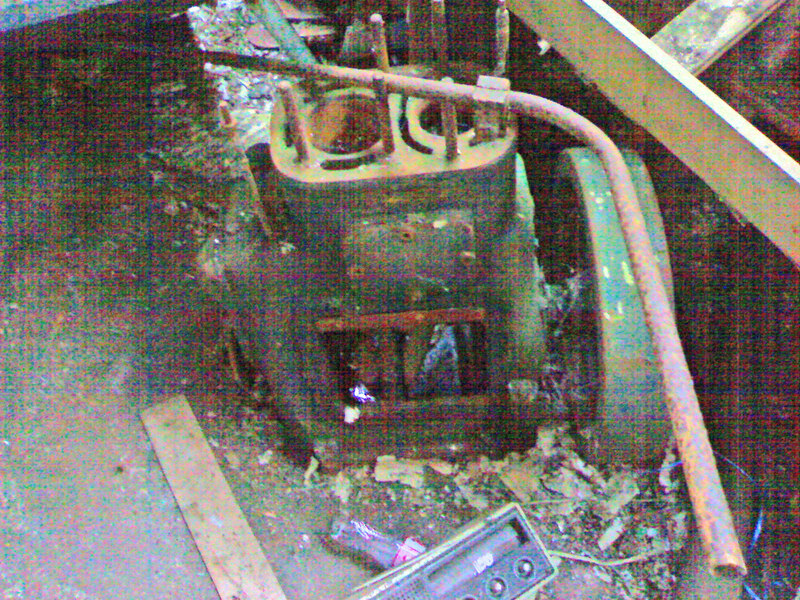 We found this small compressor at the Southern end of the Machine Shop. At first glance, the box next to it looks suspiciously like a computer monitor! 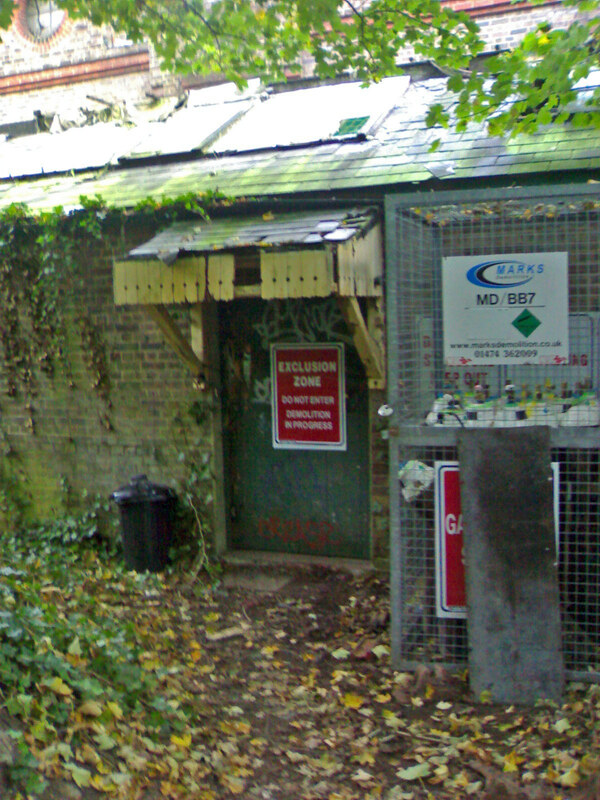 This photo shows another external shot of the Wood Store. We had to go out and jink around the northern end and through a gap in the wall in order to get to the Foyer on the Entrance Foyer and the rooms beyond. 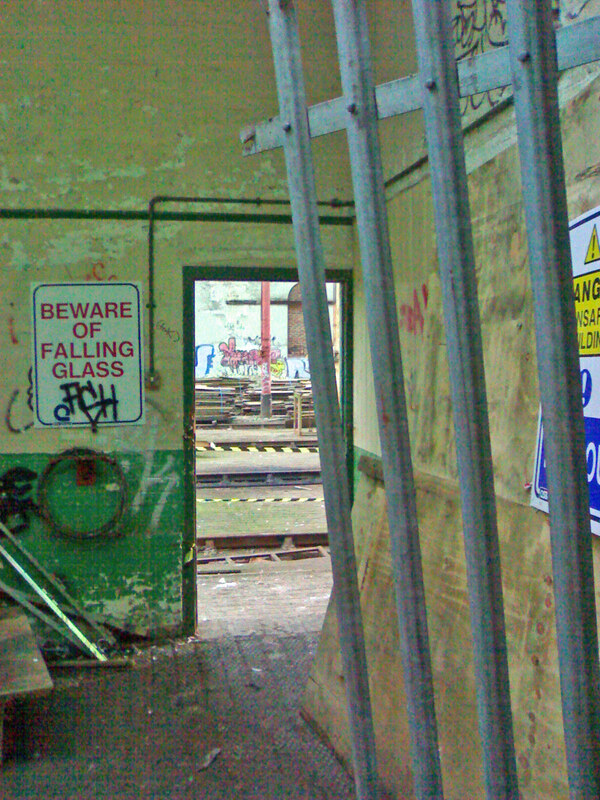 This photo shows a view from within the Entrance Foyer looking through the doorway to the Train Shed. This is the view looking back towards the main entrance. It looks as though this was once a chimney breast, although the hardware within is more consistent with a meter cupboard. 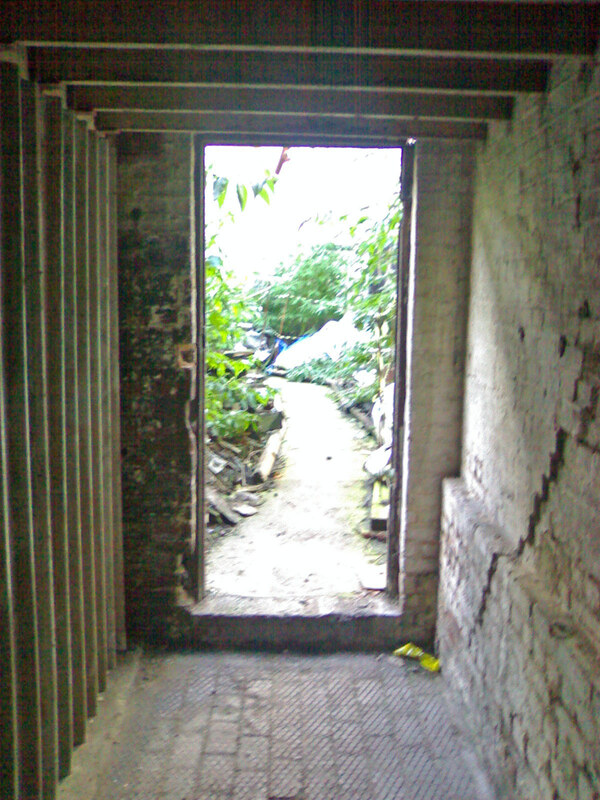 This photo shows the opposite side of the little entrance door. This shot shows detail of the roof of the Entrance Foyer. 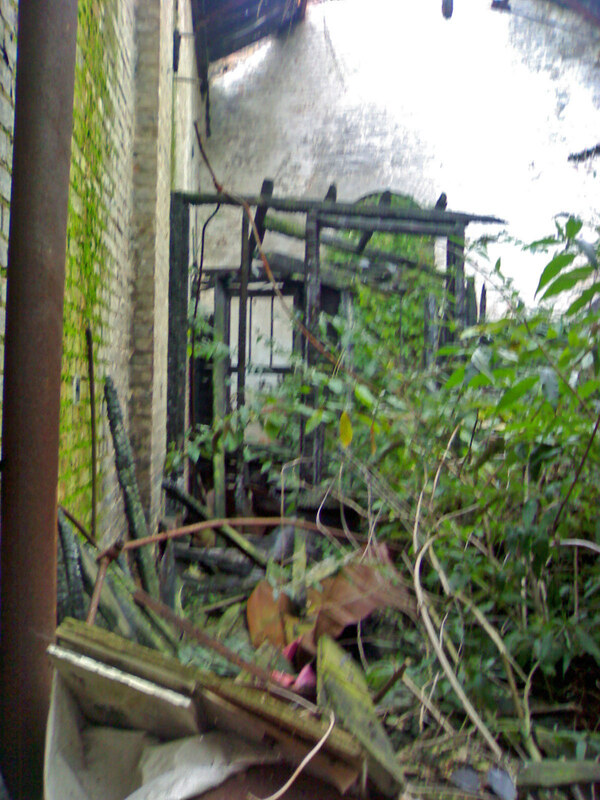 This photo shows the burnt out section looking due North from just outside the Entrance Foyer. The vegetation grows here unchecked because of its lack of roof and direct exposure to the elements. This makes it impossible to ascertain from the debris as to the purpose of this area. Another detailed panoramic shot of the roof detail. Please note that the curve of this photo is artificial because it is made up of a composite of around 15 separate photographs. 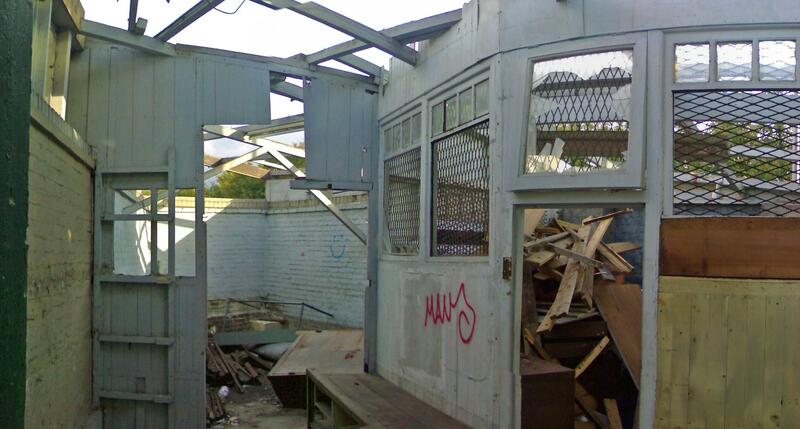 The above photo shows the burnt out area looking roughly South, back towards the Entrance Foyer and Wood Store. Remnants of a lean-to on the Western side of the burnt out area are shown above and below this text. Looking out of the window on the extreme right of the photo, one would see the tunnel portal where the Cliftonville Curve bends round from London towards Hove. 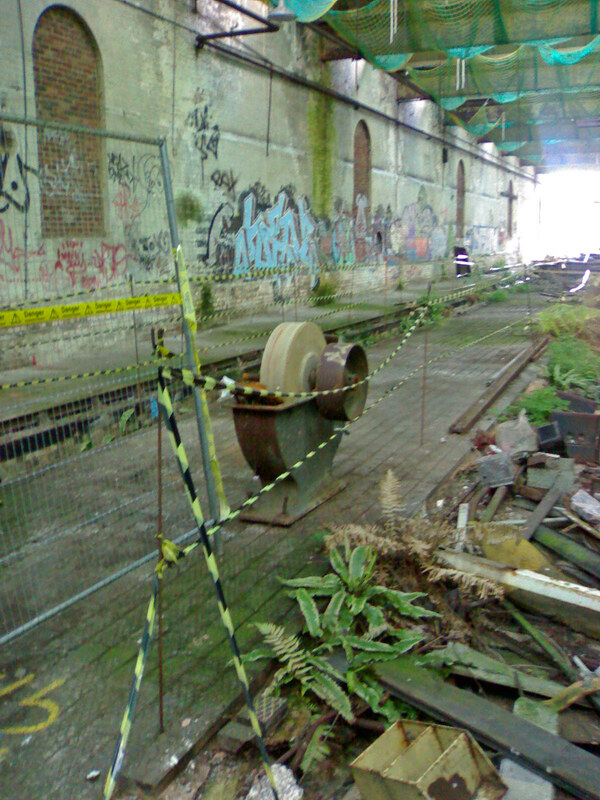 This pathway lead through from the burnt out area and the Foyer into the main Train Shed. This shot is of the Northern end of the Train Shed looking roughly West. 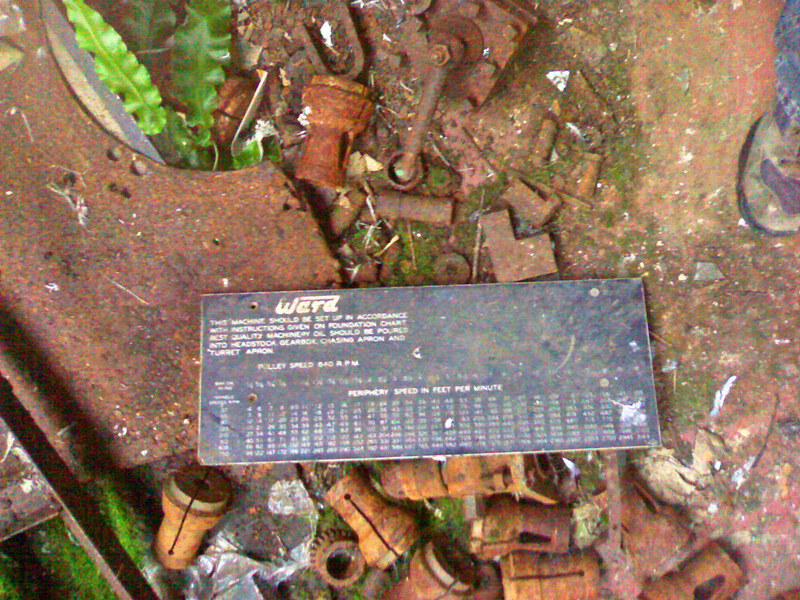 One thing that we found quite peculiar and a little eerie in amongst the debris of the burnt out area, were items of model railway trackwork and Scalextric track. There were also lots of magazines on Railway modelling and the last days of steam, which indicates it is possible that this area contained some items that would have been used if the site had become a museum. However, there is no real evidence to determine what this room's original purpose was. This is the very last room at the extreme Northern apex of the site. 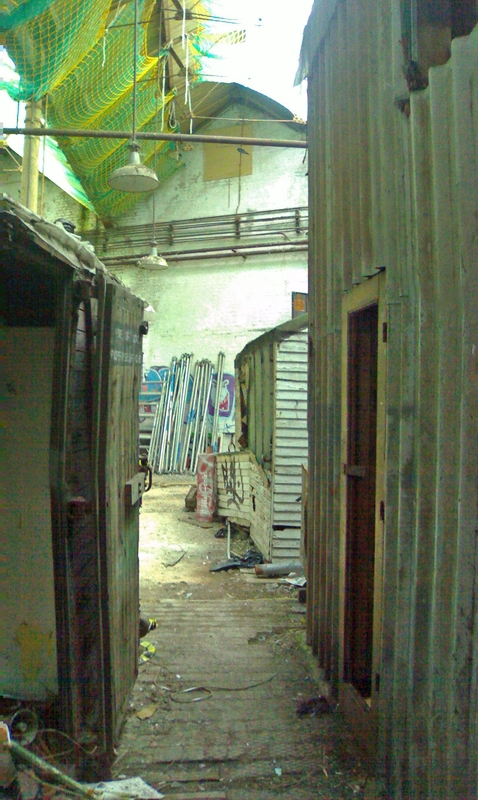 It looks as though this room was used as a rail store, but also for hardening and annealing. The wooden roof here looked extremely dodgy so we didn't poke around too much in here to find out! 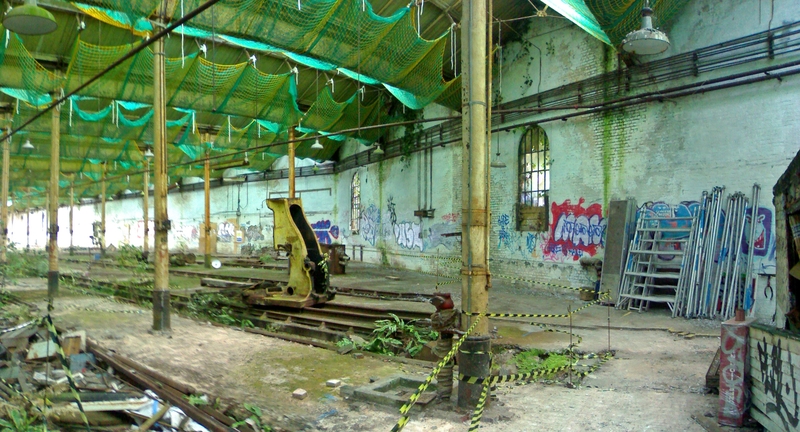 This view shows the Hardening / Annealing room looking back towards the Train Shed, Foyer and Wood Store. 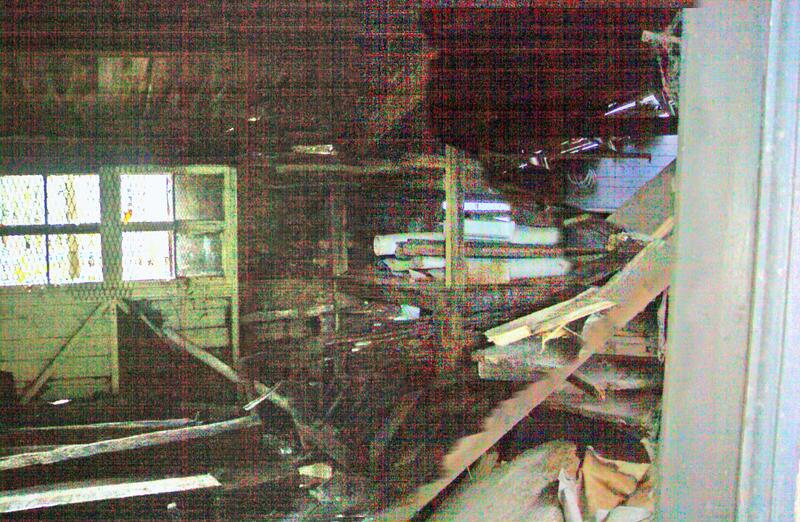 The next room in is a Boiler Room and the base of the chimney can be seen at the extreme top left of the picture. 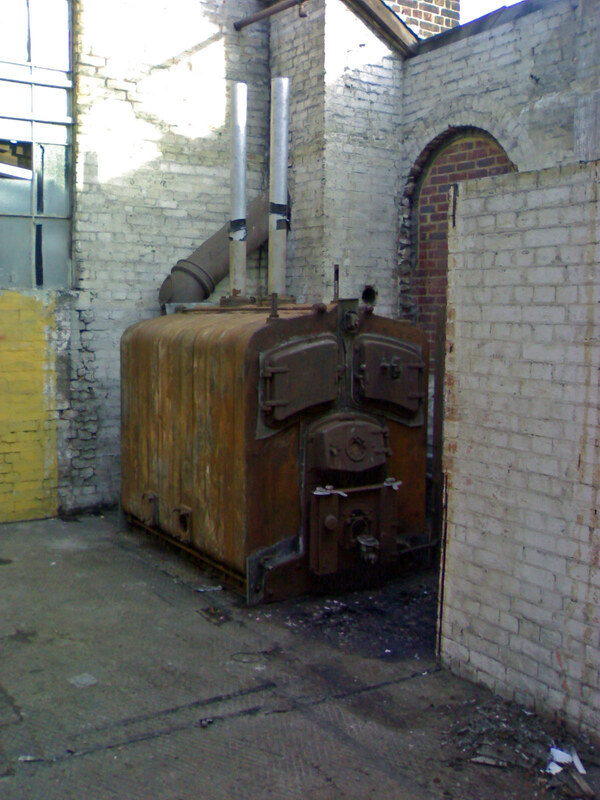 The above photo shows the view looking North from the Boiler Room out towards the Hardening Room. 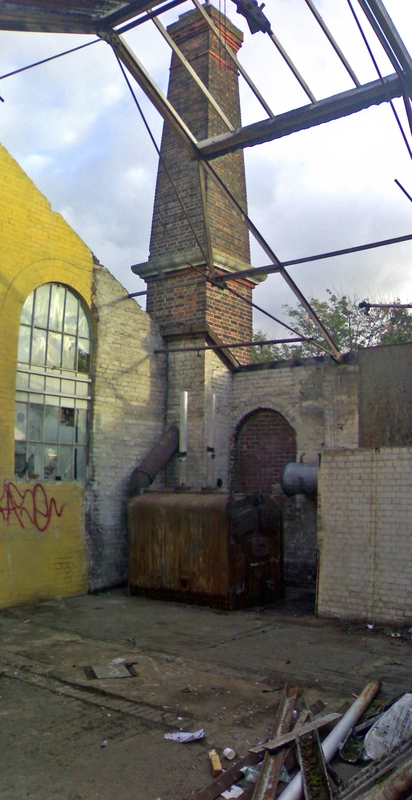 The photos above and below show the Boiler Room and the chimney, both looking roughly North-East. 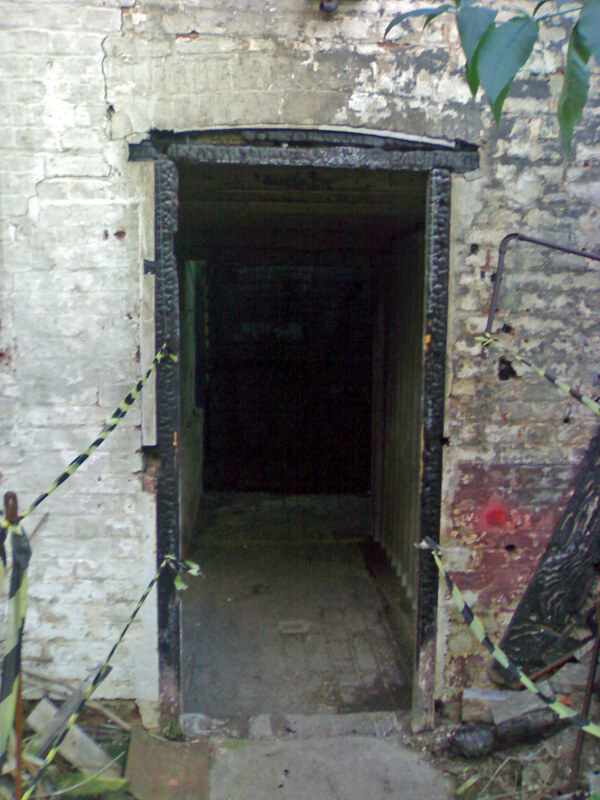 These two photos show the doorways and passage from the Entrance Foyer to the burnt out section, looking back due South in the top picture, and North in the bottom one. 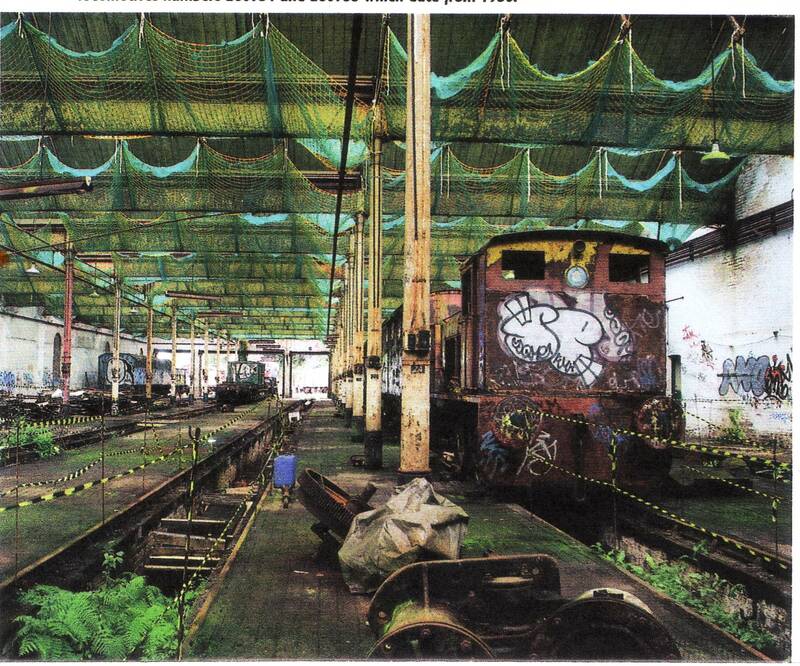 This view shows the Train Shed looking South. Note the belt drive Grindstone bottom left of the photo. This looks like it would have been belt driven. It is entirely possible that this building originally had overhead line shafts. Given the age of this building they could have originally been steam driven and later by motor. Again, the Western Wall of the Train Shed, which is the one where demolition started as it is immediately adjacent to the main London to Brighton Line. This photo is looking roughly South-East. The Train Shed looking due West. It is blurry because I had failed to notice a Gatwick Express creeping up on us and we were in full view of the driver! Oops! 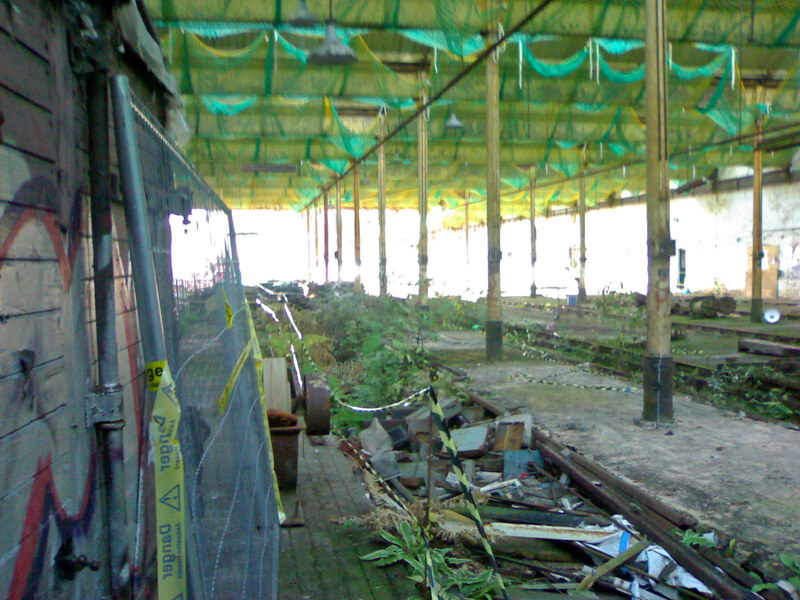 The Northern end of the Train Shed, again looking South-West.